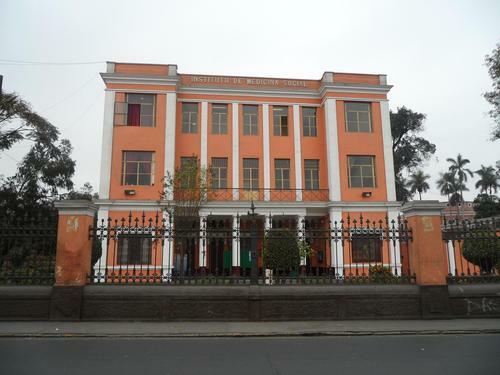 The Instituto de Medicina Social (Institute of Social Medicine) is one of the buildings of the Facultad de Medicina de San Fernando in Lima. 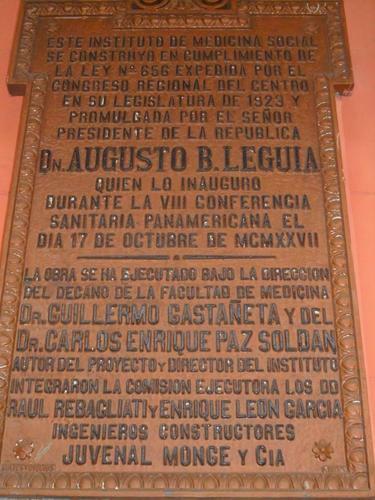 It was inaugurated by Augusto B.Leguia, then President of Peruvian Republic, in 1927. Its creator and first Director was Carlos Enrique Paz Soldan, who is considered the father of Social Medicine in Peru and whose bust can be admired in the garden of the Institute.